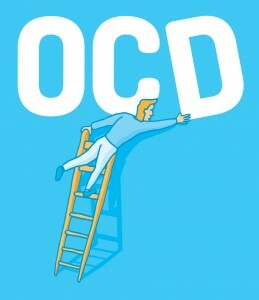 Somewhere between 2% and 3% of the population between the ages of 18 and 54 suffer from OCD (UOCD). This number seems to be very low, but it is actually a large percent and even out ranks other mental disorders like schizophrenia, bipolar disorder, or panic disorder (UOCD). About 3.3 million people in the U.S. alone have OCD. Anyone from ages as early as 18 months old to ages 50 and above (UOCD). It is safe to say that most everyone knows someone or has seen someone on TV who has OCD. I personally have met a few people in my life that have different levels of OCD. My mother actually has a very mild form of OCD and I think it is safe to say that I myself have had my fair share of OCD-like moments. 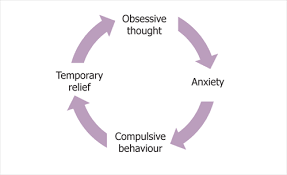 OCD, Obsessive-Compulsive Disorder, is a very common, chronic condition where a person will have uncontrollable, reoccurring thoughts and behaviors that they feel the need to repeat over and over (NIMH). There are many normal times where someone could experience something like this happening, like double checking to make sure you really did lock your car or unplug your curling iron before leaving. In these cases, it is not out of the ordinary to repeat over. Some people may think that this would mean you have OCD when in fact, you were just taking a precaution. People who do suffer from OCD will do the same things, except their thoughts and behaviors can actually be so severe that it takes over their entire lives. Those who have OCD can recognize their irrational urges but still are not able to control them since they cannot resist. Those who suffer from OCD can have different types of obsessions and behaviors and can be put into different categories (Smith). The “washers” of OCD are those that are basically germaphobes and feel the need to constantly wash themselves or clean. “Checkers”, are those who constantly check things to make sure no harm can be done, for example making sure the car door is locked. There are also “doubters and sinners”, these are the ones who need to make sure that everything is done perfectly. “Counters/ arrangers” need to make sure that everything is in order and not out of place. And then there is also “hoarders, who feel the need to keep everything that they own. 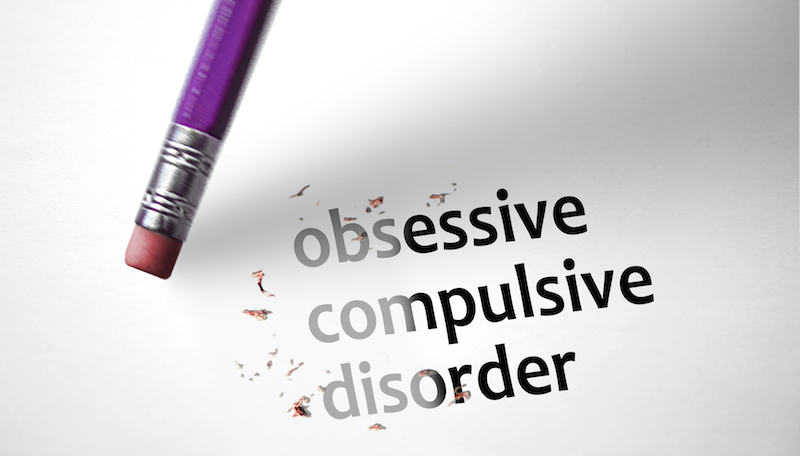 These are just the common categories of OCD, however their severeness of each person varies. Some people experience extreme symptoms while others may only experience subtle symptoms. People with OCD can be put into any of the above categories based on how they physically deal with their urges. Some people could also have certain motions, or tics, such as blinking or making odd eye movements, twitching of any part of the body, or even making constant sounds or noises (Smith). However, sometimes certain symptoms can be confused with other disorders. Also reading a list of symptoms and realizing that you may be experiencing one of them does not necessarily mean that you have OCD. It is important though to seek help if you seem to have severe symptoms. Eraser deleting the concept Obsessive Compulsive Disorder, OCD. The number of people who suffer from OCD is surprising very large, but the level of severeness in everyone can vary widely. Sometimes it is hard to tell if someone even has OCD or if they just experience normal instances that do not seem out of the norm. There are many different ways to control OCD or help contain any symptoms which makes it somewhat easy to help reduce and eliminate obsessions and behaviors. Today there are tons of different clinical studies that are still finding different ways to discover, prevent, and treat OCD in people. This means that research will always constantly be involved in finding treatments and providing help to the 3% of the population who suffers from OCD. NIMH. “NIMH » Obsessive-Compulsive Disorder.” The National Institute of Mental Health. N.p., Jan. 2016. Web. 16 Oct. 2016. Smith, Melinda, and Jeanne Segal. “Obsessive-Compulsive Disorder (OCD): Symptoms, Self-Help …” Help Guide. Helpguide.org, Oct. 2016. Web. 16 Oct. 2016. UOCD. “UOCD: Facts& Statistics on OCD. – Tripod.com.” UOCD. N.p., n.d. Web. 16 Oct. 2016. This entry was posted in Uncategorized on October 20, 2016 by Annalise Marie Pilitowski. 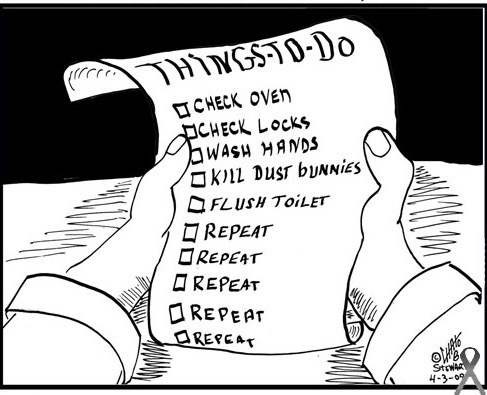 Personally, I have always found myself to have certain traits that may be related to OCD. For example, I cannot stand when the volume on the TV or radio does not end in a 5 or a 0. I also always have to color code all my notes and my agenda and everything in my room and apartment must be neat and organized. 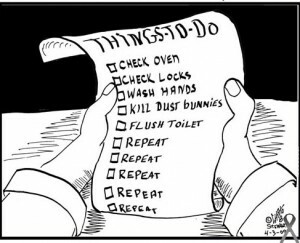 I have never known if this was something that I should get checked out or if it was me just being a control and neat freak. You mention that OCD can begin at the age of 18 months. I think this was the part that stuck out the most to me. How can someone at such a young age be so bothered by something? They can barely do anything themselves. I would be interested to see a study on babies of young ages and their results in relation to OCD.